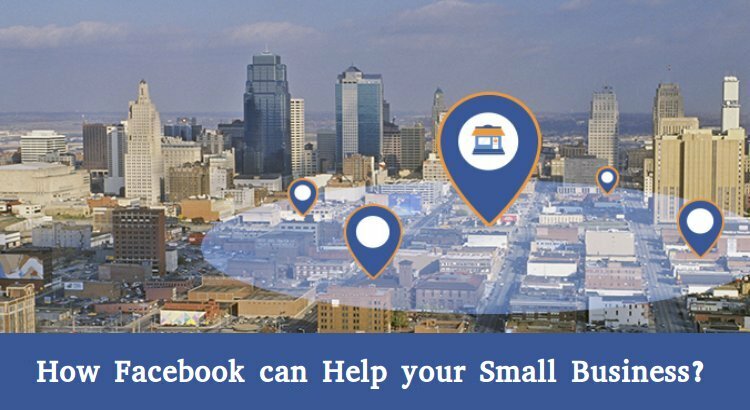 Facebook’s Latest Update Will Take Your Small Business To Next Level! Started as an ordinary social media networking platform, today, Facebook has turned to be a business tool that is benefitting almost every type of business. Be it a small business or a big one, every business owner is using this social media platform to attract more customers towards them. 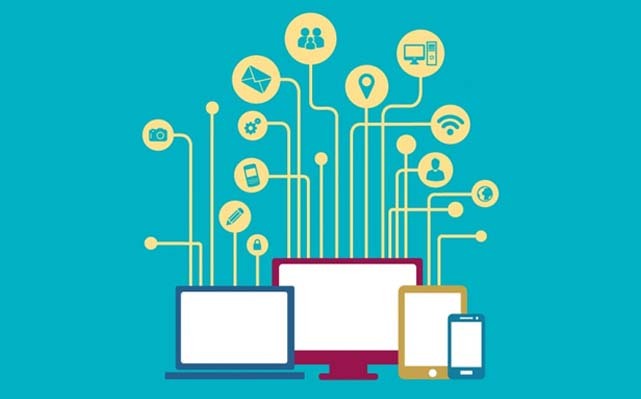 It is such a wonderful way to connect with your target audience and make them know you and your business in a better way. 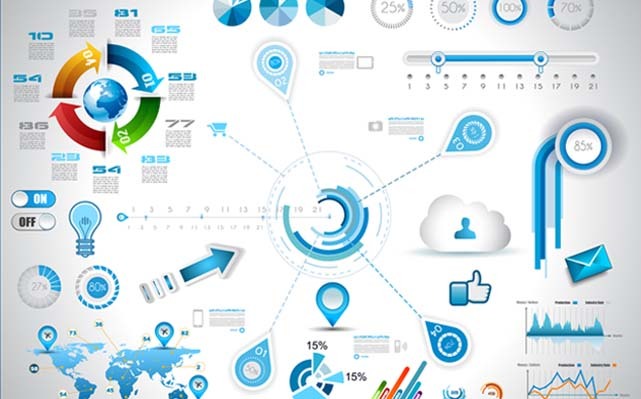 Although, Facebook is already enriched with a range of features that help business owners in achieving their business targets through Facebook marketing, yet in the attempt to enhance user experience and to improve business practices, this social media network keeps on introducing new updates that help businesses to grow. The latest update brought by Facebook aims to benefit small businesses as it has that potential to take a small business to another level. So, what the latest Facebook update is all about and how it will benefit small businesses is certainly a matter of serious considering for all of you. 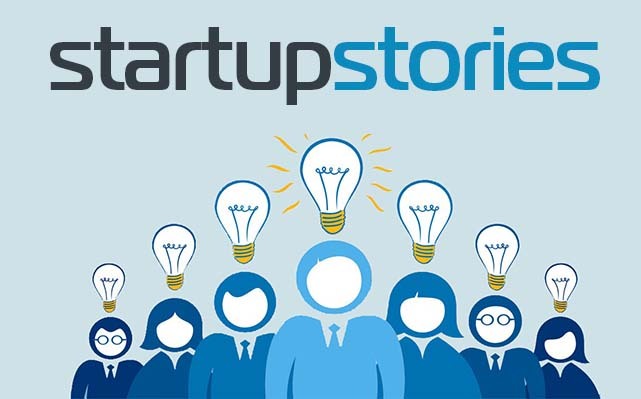 Especially, if you run a small business and want to use Facebook to your business expansion, then you must explore the latest Facebook update which we are going to discuss here. Facebook is rapidly extending its features and it is a reason, users are being dominated by this social media platform in their daily life. Sometimes, it looks as team Facebook has completely devised an advanced way to bounce the users back from other sites. The newly introduced Facebook update is something like that only. It allows Facebook users to buy food, buy movie tickets, book their appointments from the business pages of Facebook. It looks as Facebook is all set to change our lives by adding more features on its world-famous network. Though this update states more than the convenience of its users. In addition, to provide convenience, it is a way to support local business. By encouraging these features and services on Facebook, it connects businesses to their target customers in an easier way. Facebook can help you at every stage of your life. At a time when you are on a tour to a new city and need a good restaurant for dining out, just turn to your Facebook contacts and ask for their advice. At this stage, the new Facebook update brings a new tool to help you. It makes things easier to manage all recommendations in a single place. So, when you make a post on your Facebook account asking for advice on a local service or place, valtvalacyc dot com just turn on the option for “Recommendations”. By doing so, all your friends will be encouraged to comment on that post along with suggestions. All suggestions will be mapped out and also be saved in a single place to check out clearly. 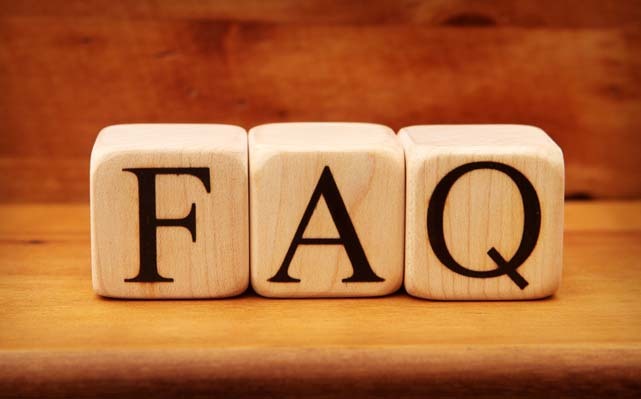 An option namely Recommendations bookmark on Facebook is already there on the desktop Facebook version in which you can ask any question or assist your friend on Facebook. Facebook can be a great platform to spot all types of local events happening in or around your city. So, you can easily discover what’s new in your city with the help of your friends. 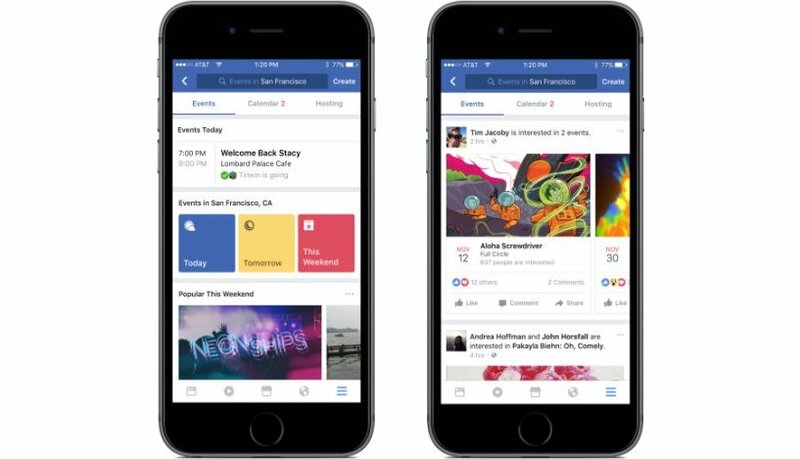 For exploring events in a better way, the team Facebook has revamped Events bookmark on Facebook option. Now, you can easily discover latest events by browsing recommendations with your past events and friends. 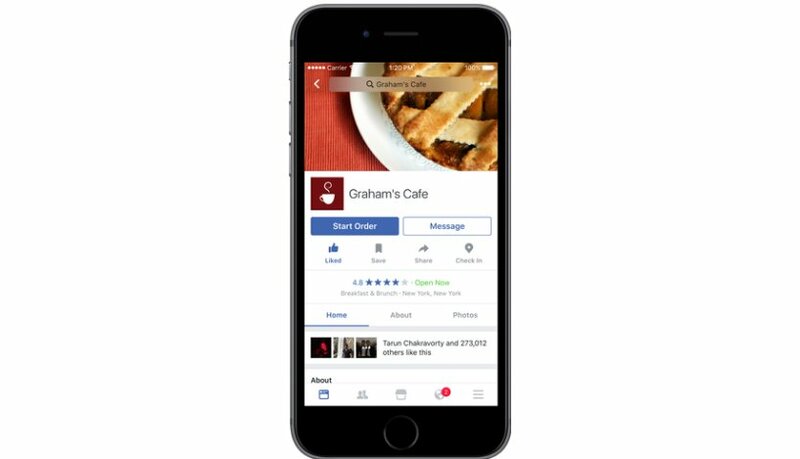 Today, a number of restaurants are available on Facebook as they find this platform highly useful to grow their business. So, using their page on Facebook, you can easily place your order for the desired food. For placing an order, you need to click on “Start Order” on the Facebook page of a restaurant of your choice and then, look for delivery services if they provide. In the US, you can choose restaurants that use Slice or Delivery.com for food to be delivered at your doorsteps. 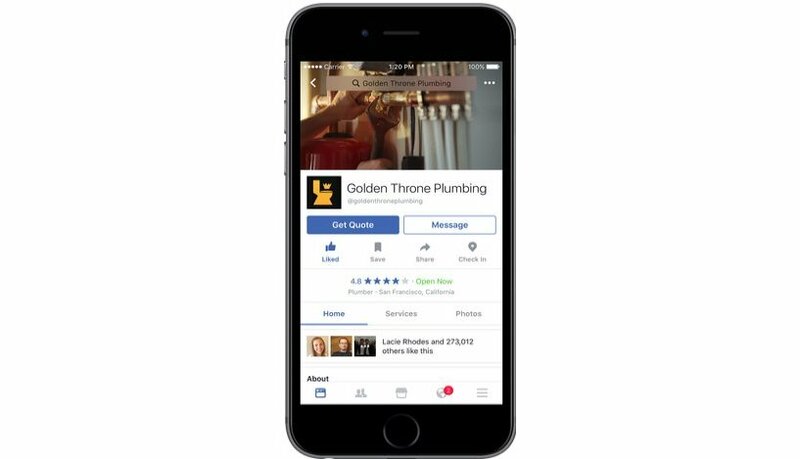 Facebook features a “Get Quote” option for business pages and a number of businesses have already started using this option on their business page. So, if you are at a business page which has the “Get Quote” option, you can ask for a quote for their products and services directly from Facebook. To get tickets for the latest movie, you can use Facebook now. 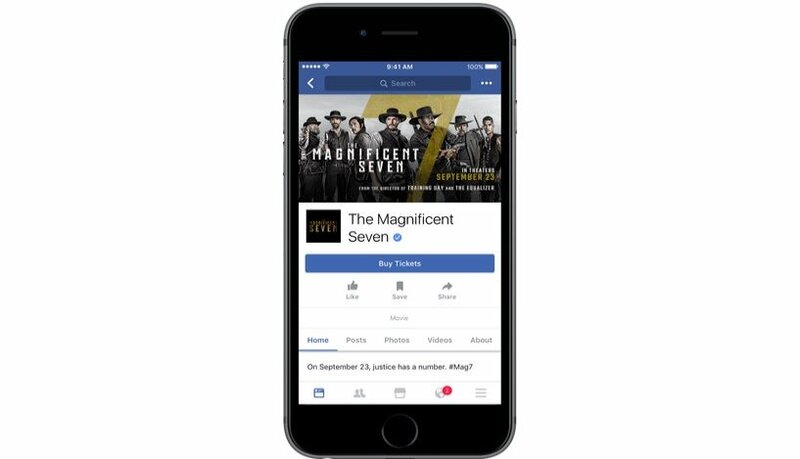 Using mobile app – Fandango, you can buy tickets right from the Facebook. 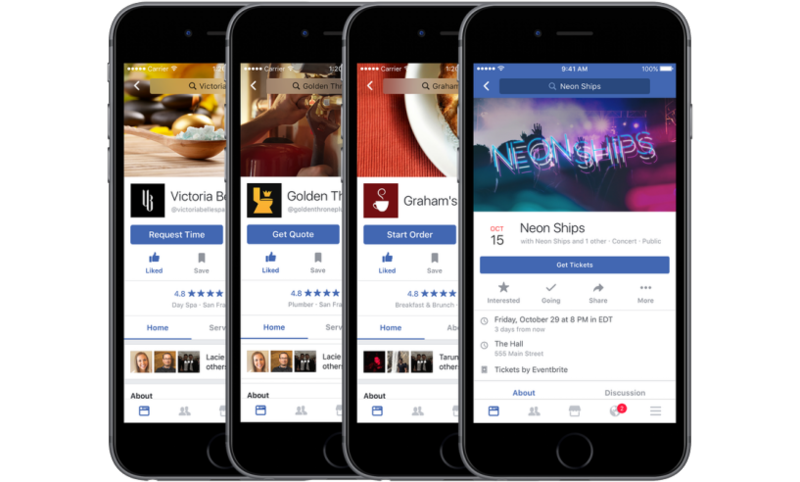 Facebook has partnered with Eventbrite and Ticketmaster that has made it possible for this social media platform to provide tickets to interested users for different events in a city or town. It can be paid or free ticket that comes right from the Facebook page of that event. So, this is all new Facebook update for small businesses that clearly shows how brilliantly local businesses can boom by precisely using features of this platform. When a business will think of providing ease and flexibility to their customers, they will surely grow with the growing interest of their customers. So, give your customers an ease to reach you and see how exceptionally Facebook help you reaching new heights.